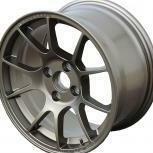 Miata wheels have a smaller bore (54mm) than E30 wheels (57mm). E30 stuff fits on miatas, but miata stuff does not fit on e30's. Honda 4x100 is 56mm, so those are a no go either. Luckily most generic aftermarket wheels are 64mm bore, and hubcentric rings are easy to find, cheap, and i just glue them in when necessary. The new minis runs lug bolts with hub centric spacer rings. We stopped bothering with the spacer rings a couple years ago, bout the same time we got a stud kit from Turner Motorsports. Long as you snug all the nuts down real good first you're fine without the rings, the problem is that you can get a false positive on the torque value if you dont snug first. We normally snug things up, drop the car, torque, roll it a foot or 2 then torque again. The studs from Vorshlag have been great in my M12 thread BMW's but had to go to Turner for the Mini's M14's. Vorshlag's nuts take a 17mm just like the bolts and same OD as factory hardware. Ed, If you are going to buy wheels at some point in the future Jongbloed makes a somewhat reasonably priced lightweight 15x10 in E30 fitment. Ok, fast e30 guys, time to brag, how much hp do you get to the wheels? Tired/abused m20s make 135-145whp. Healthy ones make around 150whp. Modified m20s (i.e. stroker crank, cam, oversized valves, porting, etc.) have made upwards of 180whp but most are probably closer to 170. Some claim that they can reach 200 but I have never seen proof of that. I've seen dyno data for all of the others that I listed. Why do I get this image of an unnatural monster that people normally avoid, powerful yet tainted in the eyes of the common man? Oh right; that was Quasimodo, not quasi-modded. 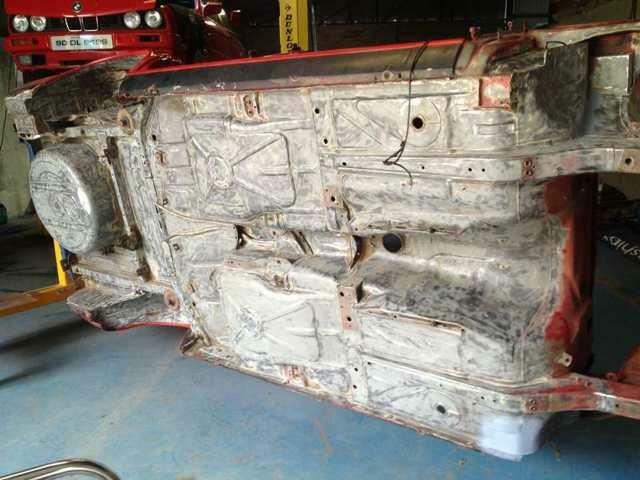 Is there something especially taboo about cutting the roof off to install a nice used spec e30 cage? Seeing how the roof will be off, how does the peanut gallery feel about a lowered roof e30? Other than starting with a high VPI, I see no issue with this. 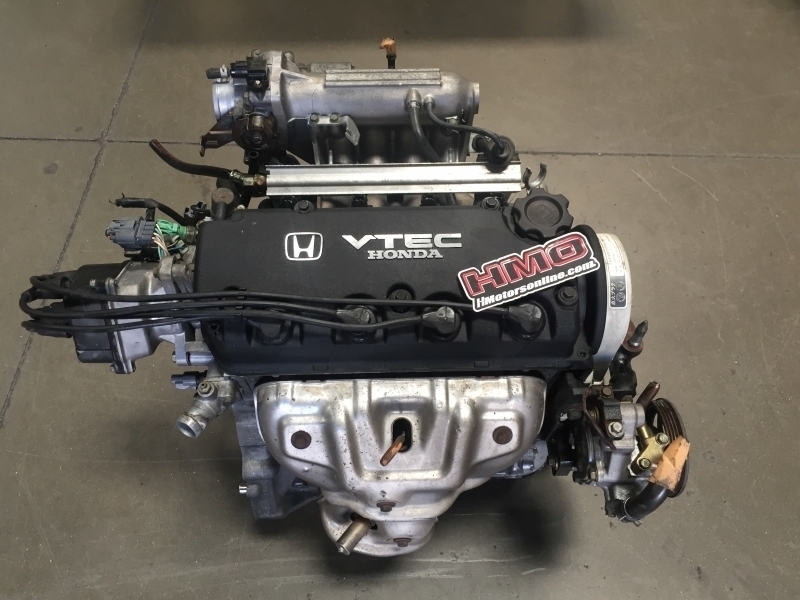 Although, seems like a light twin cam 4 (as Huggy mentioned) would be a better mill for a light E30, but I know you have stacks of VG30DEs laying around down there. Twin can 4s are heavy. Go with the singe cam 4.
how does the peanut gallery feel about a lowered roof e30? Long as you can fit the driver's head, go for it! Do it. Lower the floor too to get the driver lower A little re purposed metal from the doors and its free. Take about 4 or 5 inches out of the roof height, probably an inch or 2 more out of the front. Leave the A pillars the the same length and just lay the windshield back at more of an angle. Its all about backyard engineering. Would be sweet but headroom is already limited. If you have tall drivers this is not really an option. We looked at doing this on our car since my head was hitting the cage where it runs along the top of the door but there were some significant hurdles. Biggest one was the bit of box/frame which runs from the trans tunnel to the rocker panel. That is a structural member which connects the back end of the front frames to the uni-body. It's visible from underneath the car but from inside it is hidden by the top layer of sheet metal which ramps up over it. 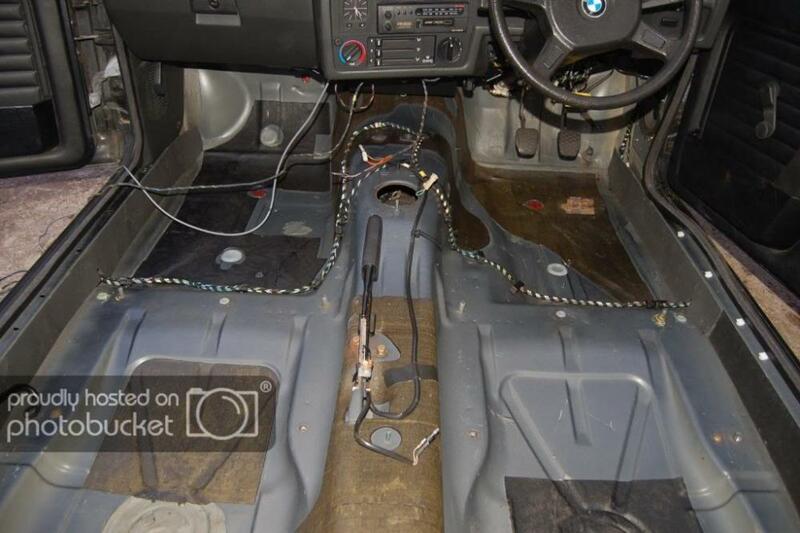 get a seat with more layback, move the foot box forward and use aftermarket pedals, or move the driver further back in the car with the aftermarket pedal box. Its all driver comfort and no points. Tie the lower floor in with tubes from the cage, its just saftey and comfort. I am being somewhat sarcastic....but hey where there's a will there's a way. As long as it's done using Harbor Freight tools. And the person doing it isn't a professional. why bother with so much fab work. make it go, with the power you are making it will be fast enough to win if driven properly. You will have many issues to solve if you lower the roof. Headroom is already an issue if you dont do the seat properly. My seats are offset to centerline to clear the upper bars with my head. I have driven many e30s where my helmet interferes with the roll bar, its not fun. Ha, reshaping is going to happen, embrace it! And the person doing it isn't a professional. So now I can't work on my own car? Alright, I have a 84, a 86 just showed up at the local boneyard, what do I go fetch before it gets picked clean? What year/model will have 4:10? a 86 just showed up at the local boneyard, what do I go fetch before it gets picked clean? The whole damn car. I've been looking for a decent priced parts car here in central Fla for a couple of months now with no luck. Spare body and suspension parts!